Deloris Hogan, co-owner of Dee's Tots Childcare, holds her year-old granddaughter Jadeleana and eight-year-old Diana in the afternoon sun. 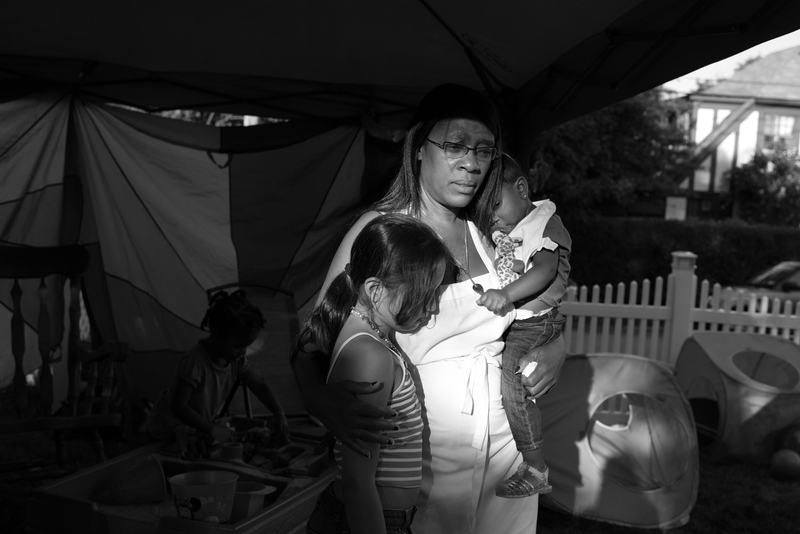 Diana and her sister spend long hours at the daycare, including bedtime, as their single mother works two jobs. The center is one of an increasing number of 24-hour daycare facilities in the U.S. as employers demand longer, less-predictable hours of their middle class and low-wage employees.